004. Call people by name. Read the name badges of all those you do business with and who serve you. Even if it is small talk – the most beautiful music people hear is the sound of their own name. Back home and recovering from the weekend. Thanks for all the support! Last counts as I was pulling out indicated we collected nearly 1500 items to support the food supplies at Helping Hands of Paulding! Oh - Let's not forget a big thank you to Ed Long @ Colonial Bank who will do just about anything to support our community and kids! Thanks Ed! Just came up for second shift on Cedarcrest Rd. & Seven Hills Blvd. as we continue to Scout For Food! Food is already showing up at many of the restaurants and in our tee-pee. Wind is something else altogether. It is awesome to see all the people in north Paulding coming together and supporting the needs of their neighbors. Be sure to come by, honk and bring food!!! Getting High for Food Begins for Crossroads & Scouts! 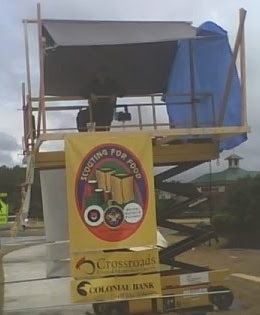 Scouting for Food in northeast Paulding is underway as we "Get High For Food!" Scouts working to get the bags out! Pastor Ken Hagler of Crossroads UMC (also Den Leader & Assistant Cubmaster, Pack 1916) took a quick two hour shift to try out our new home! Geof Hutton - Scoutmaster, Troop 2009 & Cubmaster, Pack 1916, taking over for the first 24 hour shift. Yes it was in the wind and rain we began by getting our giant tee-pee set-up. We then got to work on our shelter with the help of Rick Harris and Harris Diversified as they donated the scissor lift for the 48 hour event. Bring your non-perishables by anytime to fill up the tee-pee or set them aside on Saturday morning in the bags passed out last Saturday. Be sure to learn more about Helping Hands of Paulding County too! Yep, I'm a church planter and today was a clergy meeting. Clergy meetings always help to remind me I'm more comfortable in the back of the room cutting up than anywhere else. Most church planters tend to have some rebellious streaks running through them. Considering the alternatives, seems to me sitting in the back is a fair trade off. Today's topic however was more relevant than usual. It was more pertinent than other things in the past. In the end, it was a meeting regarding justice. Say what you want about the United Methodist Church, but there are incredible moments where it is just right on and we step forward where others do not choose to tread. Dealing with the Central Conference Pensions is one and of course no one wants to talk about money. But this isn't about money after all - it is an issue of justice. Today, we got the stat that said the denominational average compensation is coming in at $58,226. That is right on with the NY Times report on average salaries which came in at $58,029. In the 7 Central Conferences of the UMC that exist outside the U.S., none are close to this and few of the those conferences have been able to provide for a pension to help those pastors in retirement. Through the Central Conference Pension Initiative, the UMC is seeking to change that. Today, Bishop Mike Watson, put the challenge to our full-time pastors to step up and make a 3 year commitment to help. It starts with us and it goes back to code of priests: "...you shall love your neighbor as yourself: I am the LORD. (Lev. 19:18)"
The pastors in the Central Conferences consistently have spoken of five things that would be priorities. The first is always food and the other four are mixed. But many said they want to be able to give 10% back to their church. That is KINGDOM MINDED! I wrote the first check from our family today...it was a reminder for me of our mission of Crossroads UMC: to help people connect, follow and become disciples of Jesus Christ one loving act at a time. Can we afford it? Technically - no. Our budget is set. So come what may, we'll go after excess spending where it still exists and trust God to provide above and beyond. I encourage you to visit the CCPI and learn what it is all about and how you can make a difference. "The Great Charles Blondin", was a famous French tightrope walker and acrobat. Blondin's greatest fame came in 1859 when he attempted to become the first person to cross the rushing and roaring waters of Niagara Falls on a tightrope. With a balancing pole, Charles Blondin walked across the 335m long tightrope in only five minutes. He went on to walk across the falls several times, each time with a different theatrical flair. Later crossings were made in a sack; on stilts; on a bicycle, in the dark with sparks flaring from his pole tips; with his hands and feet manacled; and sitting down halfway to cook an omelet! On one occasion, Blondin suddenly stopped and addressed his audience: "Do you believe I can carry a person across in a wheelbarrow? "The crowd enthusiastically shouted, "Yes, yes, yes. You are the greatest tightrope walker in the world. You can do anything!" "Okay," said Blondin, "Get in the wheelbarrow....." No one did. Later, on Sept 15, 1860, the world was amazed as Blondin made a crossing carrying his manager, Harry Colcord on his back. If you have ever doubted, if you have ever questioned, if you have ever wrestled with God's place in your life...then you are in good company. In fact, you will find great friends throughout the Bible. There are two that stand out more than any others – Gideon and his fleece and Thomas the doubting disciple. Like Gideon, Thomas' view was: Hey, people don't rise from the dead okay! Look at us, we're a bunch of rejects and Rome and the Pharisees had the final say! You want me to believe? Show me! (v.25). And God called the bluff. And what Jesus said was one of the most profound statements about how God views things: Blessed are those who believe who have never seen. We're 2,000 years removed from the time of Jesus' resurrection from the dead. We haven't been short changed. 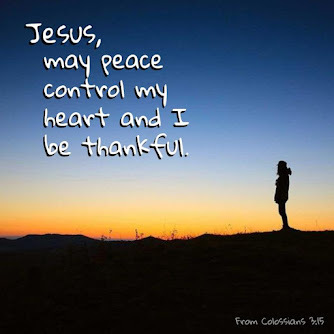 In fact, Jesus said we are blessed – not in ways regarding wealth and prestige – we are counted equal in God's kingdom even though we didn't walk where he did. I'm not sure that doubt is really the opposite of faith – the opposite of belief, yes. But the opposite of faith would be apathy. Faith, I think, is healthiest, not when it is without doubt but in spite of it. 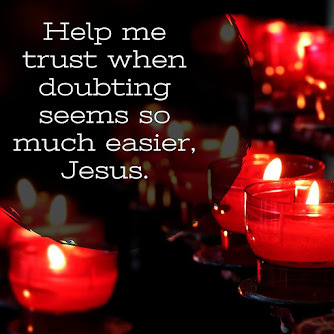 Authentic faith doesn't seek to eliminate doubt – authentic faith – goes after Jesus where ever Jesus goes. Whether it is across waterfalls or into the slums, whether it is in collecting bags of groceries or extending an invitation, God views things different. 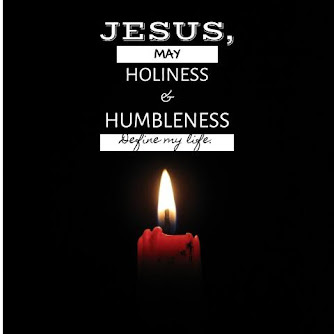 He meets us in the mess of our doubts because he sees what we can't see ourselves – he sees Jesus in us. The time is now upon us…spring turkey season opens in Georgia tomorrow morning. Like so many things, I find that misunderstandings abound when people fail to listen and walk in someone else’s shoes – this little cartoon is a case in point. 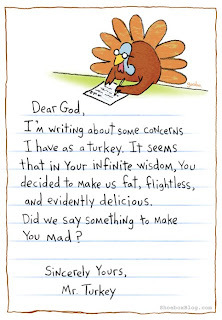 1) Delicious – yes, indeed, turkeys are delicious (at least to many of us). 1) Flightless? NOT! Turkeys roost in trees at night. What? Do you think they climb a ladder? 2) Fat? Only those grown domestically. Are they big birds? Sure, but wild turkeys sure aren’t lazy. Talk about messy? 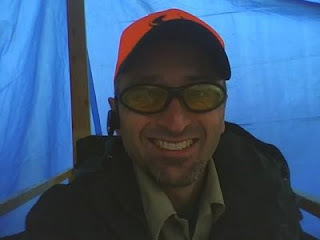 Hunting turkey last year so messed up my perceptions of the outdoors. When Jim Martin took me out in the woods so I could fire my grandfather’s old pheasant gun, I had no idea. I had no idea the impact and passion hunters have for nature and the environment. I came at this whole thing as something of a environmentalist. I’ve been a member of Sierra Club and for many years subscribed to Backpacker Magazine. Backpacking and hiking are things I absolutely love. The chance encounters with nature’s creatures, well that was icing on the cake. Tracking and hunting showed me a new side of the outdoors. Sportsmen and women, are very much environmentally conscious. Are there some who can give hunting a bad name? Well yeah! Know any politicians who you could say the same for? How about people of faith or non-faith? How about environmentalists? We can all throw up a straw man. Tracking for hours and getting within 15 feet of a flock of wild turkeys meandering along is humbling. To see them fly off the roost at “crack A.M.” is a beautiful site. To take one home and provide for others – well, it is done with more reverence and thankfulness than you might realize. New interests are always messy endeavors. They cost both money and time but the lessons are lessons which stretch us in new ways. I have another good friend who has me intrigued to try fly-fishing now as well. Would never have thought that would be on my list either. The wisdom write in Ecclesiates always reminds me: There is an appointed time for everything. And there is a time for every event under heaven-- (Ecc 3:1) All it sometimes takes is walking in someone elses’ shoes (or boots) to have your mind stretched a little bit farther. Those little events along the way are sometimes the very ones that make biggest difference in our lifes. May I Ask? When was the last time you tried something new or had an experience challenge your status quo? May I Suggest? Put on your “to-do list” something you’ve wondered about trying and make plans to do it in the next 30 days. If it is hunting or Star Wars or God and you live out my way, send me an e-mail and let me know! Okay, did it catch your attention? Good, I hope you'll read on regarding our passion to help our community in northeast Paulding make an impact in the lives of many of those in need. Paulding County, GA March 26-28, 2009 – Community leaders spend 48 hours in the air in support of this year’s Scouting for Food program. Their goal is to fill up as many tents as possible with canned food items for Helping Hands of Paulding County food pantry. 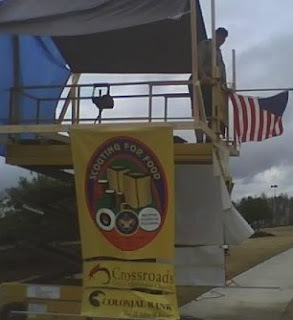 For 48 hours, Scout Leaders Geof Hutton and Rick Wittenbrook along with Pastor Ken Hagler of Crossroads United Methodist Church and Ed Long of Colonial Bank will remain aloft about 20 feet to raise awareness for Scouting for Food. 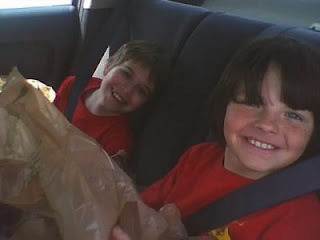 Scouting for Food is sponsored by the Atlanta Area Council of the Boy Scouts of America and Publix Supermarkets. Ken and Geof saw an opportunity to combine the efforts of Crossroads UMC and Scouting to help their community in Paulding County. They also see this as an opportunity to rally the growing community of northeast Paulding around a project together. Ed, Vice-President at Colonial Bank of Seven Hills was quick to offer his support. All items collected will go to The Helping Hands of Paulding County, Inc., a local non-profit that helps families in need and supports other food pantries in Paulding County. On Saturday, March 21st, Scouts and church members will take to the neighborhoods of northeast Paulding County distributing over 4,500 bags donated by Publix. These bags can then be filled throughout the week. On Saturday, March 28th, families can then place their bags at the street for pick-up by Scouts from Cub Scout Packs 1916 and 9161 and Boy Scout Troop 2009. 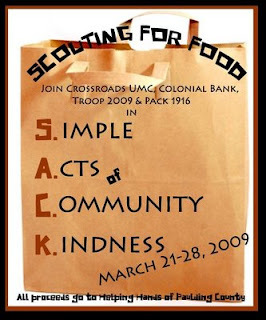 If you don’t get a bag, want to drop off your own, learn more about Scouting or you just want to see these brave and crazy souls in camping in the air, Geof, Rick, Ken and Ed will be in the Colonial Bank parking lot at the intersection of Cedarcrest Rd. 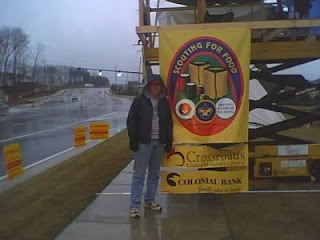 and Seven Hills Blvd., from noon on Thursday, March 26th to noon, Saturday, March 28th when all food will be placed in tents before delivering the food to Helping Hands of Paulding County. 003. Clean. Clean something for someone else when they don’t expect it. Clean out the inside of the car, someone's room, your neighbor's yard, or maybe the bathroom - get creative! With the sermon series being on Messy, it seemed an appropriate thing to consider. God qualifies the unqualified - and all of us are qualified to serve. Sorry, it isn't like me to be off for this long except for vacation. My computer was in need of a lobotomy. Thanks to my good friend Robin at I Luv My Geek.com, I'm back up and running. Robin is awesome and goes above and beyond for his clients. If you're ever in need of computer support and live in and around the north Paulding area (and even beyond), give Robin a call! Please be patient as I try to get everything back up to speed. Not sure when or if I'll get my sermon notes up but the podcast will be up here. BTW, click here for the Jeff Buckley version of the song "Hallelujah" that Brandon totally nailed! I hate my home office. It is small and cramped. It is asked to hold far too much junk (kinda like my brain). It is, in fact, a mess. Thankfully, my kids don't realize they could make the argument that if they have to pick up their rooms, I should have to clean my office. Messy is quite the theme of my life right now and not just because that is what I'm preaching at Crossroads too.. I've noticed that it seems to be appropriate for most of us these days. Within certain segments of the Church as a whole, things are bit messy such as over at TeamPyro and their discussion on preaching. It happened a little closer to home in the UMC with the departure of Bryson Butts and his team. I have watched and felt the pain of stuff blowing up on people over and over again. I sure see it in my own life. I'm not making editorial on either of the incidents listed above mind you, they just happen to be out there right now. What I do know is that we live in a messy world and the Church is tainted by the mess. There is such a tremendous need all around for both understanding and a tranquil heart. Need I go into the results of jealousy and temper? I think likely, that is not necessary. What is necessary is to consider next time, before speaking out, before moving in one direction or another, or before I ask my kids to pick up their rooms tonight, to seek to understand and seek peace. Maybe I'll pick-up some of my office too. 002. Pick at least one meal this week you normally eat out and bag it from home. Take the money you would have spent and give it away to someone in need or give to a ministry. 1)Then Joshua the son of Nun sent two men as spies secretly from Shittim, saying, "Go, view the land, especially Jericho." So they went and came into the house of a harlot whose name was Rahab, and lodged there. 2) It was told the king of Jericho, saying, "Behold, men from the sons of Israel have come here tonight to search out the land." 3) And the king of Jericho sent word to Rahab, saying, "Bring out the men who have come to you, who have entered your house, for they have come to search out all the land." 4) But the woman had taken the two men and hidden them, and she said, "Yes, the men came to me, but I did not know where they were from. 5) "It came about when it was time to shut the gate at dark, that the men went out; I do not know where the men went. Pursue them quickly, for you will overtake them." 9)… to the men, "I know that the LORD has given you the land, and that the terror of you has fallen on us, and that all the inhabitants of the land have melted away before you. 12) "Now therefore, please swear to me by the LORD, since I have dealt kindly with you, that you also will deal kindly with my father's household, and give me a pledge of truth, 13) and spare my father and my mother and my brothers and my sisters, with all who belong to them, and deliver our lives from death." 14) So the men said to her, "Our life for yours if you do not tell this business of ours; and it shall come about when the LORD gives us the land that we will deal kindly and faithfully with you." 15) Then she let them down by a rope through the window, for her house was on the city wall, so that she was living on the wall. Ever been picked last for the team or warmed the bench (Hey - even Emmitt Smith and Brett Favre know what that is like)? Ever known what it was like to have people whisper when you walk by? Ever been the new guy or girl – wanting to make a way to have friends? Wanting to do whatever it would take to find a friend? Ever felt like an outcast? It has been termed the oldest profession they say – certainly to talk about Rahab would be bringing up questionable materials. But lets remember something: to prostitute means for someone to sell themselves or talent for a corrupt or unworthy purpose. For Rahab, it happened to be her body but others have done the same in business, law, medicine and religion, to name a few. So let me reiterate where we are for these 6 weeks: Life is messy. After escaping slavery in Egypt, the Descendents of Abraham: God’s people; wandered for 40 years because of doubt and faithlessness. 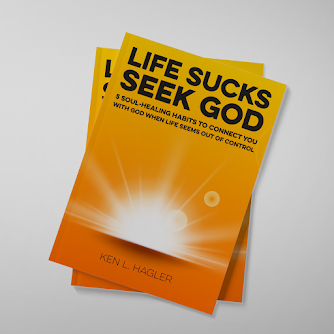 Life is a messy proposition for everyone even those who seek a relationship with God. After 40 years, a new generation had grown up, one of hope and faith but the Hebrews remained a people without a place to call home. But God was going to lead them. They were a nation who were outcasts among nations because they had no land. And Rahab would have been an outcast among her own people. So it only seems right that a nation of outcasts would find their way to the home of one. And when Rahab tells the spies that everyone was hearing the stories and were afraid, she new what it was like. As an outcast, she had already been a friend to fear and she was probably not a stranger to regret, pain and anger, either. Winston Churchill said, “People occasionally stumble over the truth but most pick themselves up and hurry off as if nothing has happened.” I found it interesting in getting to know Rahab, that many writers wanted to focus on Rahab’s “treachery” to her own people. Excuse me? Who was more treacherous? A society that said it was okay for her to be an outcast of the community? A society that saw people as objects to take advantage of? A culture that cared nothing for justice? Those who want to focus on Rahab’s treachery tend to stumble over the truth and take off. 1. She noticed God was behind the victories of the Hebrew people. 2. One who was likely an outcast even of her own family, cared enough to include them. 3. She acknowledges God as over all – a God who is a God even over outcasts. 4. She acted based on what she’d seen, learned and experienced. She put her life in the hands of God. Passing judgement based on past actions and without considering present reality can be a dangerous course. There was a juvenile court judge who had a very unusual experience during the course of one of his trials. An elderly man who owned a watermelon patch had caught a boy stealing a melon and had him arrested. When the time came for the trial, the man made his complaint to the court, after which the judge turned to the boy and said, "Son, what do you have to say for yourself?" The boy looked up at the judge with questioning eyes and answered, "Judge, did you ever steal a watermelon when you were a kid ‘cause you were hungry?" The judge was somewhat startled at the turn of events, dropped his head into his hand for a few moments of thought, and finally responded, "No cross-examination of the court allowed. The case is dismissed." Before you and I felt what it was like to be an outcast – Rahab lived it. She lived in the mess but she saw the truth. She experienced God’s free gift of grace and lived by faith in the midst of the mess. And her life, in the midst of the mess, says there is hope – for the world of outcasts. Click here for link to the podcast. P.S. - I always write out my sermons but don't preach from them so they aren't going to be identical. Loving Life! Just seems to be an I Can Has Cheezburger kinda week...;) All kitty needs is a Healthmiles pedometer! This year, I’m committed to the Virgin Healthmiles program through the United Methodist Church health plan. I can only guess that this is because pastors tend to be one of the most over-weight profession. Using a pedometer, I’m tracking my steps and miles walked in a day. It isn’t so much I want to be healthy, overall, I’m in good health. But I’m being bribed – I want to earn $300 for simply exercising! Because of that, for the past 2 months I've up my current commitment a little more. I am pushinig beyond what I’ve been doing and have added an extra day, I’m go to bed a little earlier that I might wake up a little earlier. But what about the other areas of my life? No one is bribing me to read more. No one is bribing me to love & serve more. Certainly, no one is bribing me to be more spiritual! Yet, I wonder, if we are whole people, once we move in one direction, does it by necessity move our entire being toward a more positive bent? For me, the spiritual and serving aspects come naturally (or more accurately-supernaturally). The physical motivation comes mainly from my past (arthritis, cancer and depression). Which leaves the mental bringing up the rear (which should inspire many snickers and snide remarks). It isn’t about an evolutionary question or self-help but a wondering about just how God has wired us? The premise of the spiritual side of this first has me think that God’s prevenient grace goes before us. God does desire all to know him and as such, I’m convinced that the Spirit of God is always leading us toward Jesus and thus, to the Father. But how do we act on that? How do we begin to make good on those steps toward God? 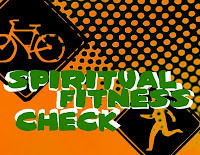 What activities move us toward spiritual health? Fast. Fast from your favorite TV shows this week. Don’t even Tivo them. 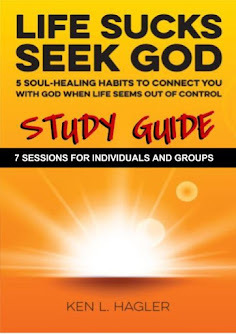 Use that time to read a book that you believe will help you connect with God. When the phrase was coined… “the Good Book,” it seems people took it to mean everything in it was some definition of “good.” Some of the stories, are, well, lets just say I don’t feel called to preach PG-13 sermons. And the people? Fact is, most of the people you’ll discover in reading the Bible, lived lives that can simply be described as MESSY. Over the next 6 weeks, I want to introduce you to 9 lives that played a significant role in history – all of them messy – but all who give each of us reason to have hope. And we’ll start with the messy life of the one called the “the Father of Faith” by Paul and James, two writers of the New Testament – Abraham. Sounds like a great guy right? Only now it goes down hill from here. For in Genesis 12:10-20, we find Abraham in the Negeb and actually in Egypt where he lies about his wife Sarai because he fears the Pharoah in Egypt will kill him. So Abraham allows Pharoah to take Sarai as his wife. Once Abraham clears up that mess we find this conversation between God and Abraham Genesis 15:1-2 ESV "…Fear not, Abram, I am your shield; your reward shall be very great." 2) But Abram said, "O Lord GOD, what will you give me, for I continue childless, and the heir of my house is Eliezer of Damascus?" I’m not sure which bugs me more, Abraham’s doubting or his arrogance? But it is not long after this, we see Sarah, Abraham’s wife, convincing Abraham to take her servant as a second wife to have children. (A little aside – the polygamy thing in the Bible? It is just as messy as most of us think it is!). Twenty five years of messiness. Twenty five years of mistakes, setbacks and unwise moves. Twenty five years pass before the birth of Isaac. 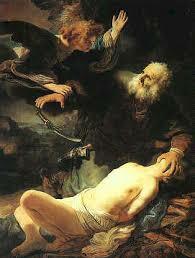 Roughly another 25 years would pass before Abraham would have to decide between obedience to God and obedience to self. When God asks Abraham to sacrifice Isaac, this special son of promise, we no longer see the prideful, boastful, manipulating Abraham but one of obedient child of God. God does not ask us to give up anything just to give it up but so we might have the only thing worth having – God himself. "Faith is based on God’s character and the reliability of His word." (Vic Hamilton) Abraham could look at all of his life and see God’s character and while he must have thought God crazy to ask for the sacrifice of his son, Abraham took it to the last moment where he finally could give it all up for God – and that is when God provided. The God of the Old Testament is no different that the God of the New Testament or the God of today – God doesn’t change – he changes us – by faith. Abraham didn’t name the mountain “Abraham-acted” but “God provides.” God took the life of a wandering shepherd who was messed up and living in a messed up world. And God made a promise – God provided - God gave us hope. With all the uncertainty in the world right now, I know some of you and many in our community are wondering and questioning and allowing messiness to take root – trying to help God along. But God didn’t make the mess. And like any good parent, God can see the way and has made the way to get through the mess. 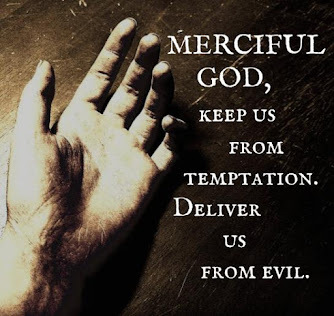 It is in first admitting our mess, then our need for him and then it means following the way of God’s Son, Jesus, who was the sacrifice, who is the way out of the mess. The crazy thing is, God said we’re going to take all our messiness and live together as a family called the Church! He said that everyone who follows Jesus becomes part of Abraham’s family – that is us too. That is God’s plan A for reaching the world – do you know what plan B is? There isn’t one (thanks to Casey Graham for that one). I’ve been living this life of Abraham it seems like since I first recognized God’s call. Heather and I have found a lot of comfort from the messy life of Abraham and Sarah when in 2004, God called us to leave youth ministry. 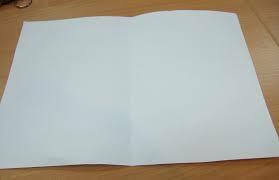 What looked like a blank sheet to us was really quite clear to God. God asked us to trade in this map with lines for this one. Then he started filling it in. He filled it up with lines and added new lines to it – yours to get us here. The lines that have helped us get here include churches all over and they’ll be helping us for a while still but come June 2009, God is asking not me but us to turn in this map for this one. 1. When you were growing up, what was the biggest lie you got caught telling? How "messy" was it to clean up? and not so much in the beginning? 11. 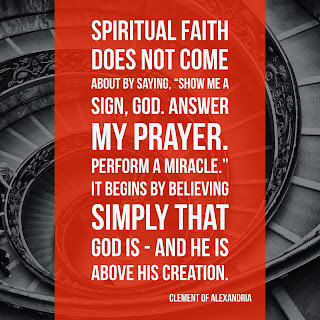 When and how have you felt your faith put to the test? 12. What has Abraham's faith taught you about following Jesus? What will you do today to follow after that way?